Shauna Jackson knows a thing or two about shopping. 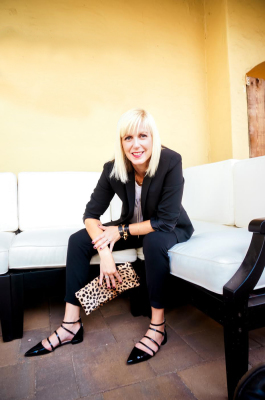 Having spent more than a decade as a highly organized and efficient marketing executive at South Coast Plaza, one of the most glamorous and successful shopping centers in the country, Shauna has had her pulse on some of today’s hottest trends and has worked with many of the fashion industry’s top brands. Turns out her biggest thrill is shopping for others, whether it’s helping a friend put together the perfect head-to-toe outfit, to scoring an incredible pair of shoes on sale. It also helps that she has an uncanny ability to memorize people’s wardrobes and she’s constantly dreaming up coordinating looks and can easily decide what staples are still needed. “For some, shopping might be a chore -- from finding just the right gift for a special someone to trying to put together a look for a special occasion or a season’s worth of on-trend ensembles -- but I love the challenge of it and ultimately, it’s so rewarding to make someone feel good about themselves and help make their lives a little easier,” said Shauna.